He was addressing the students of Dr D Rama Naidu Vignana Institute of Rural Development. 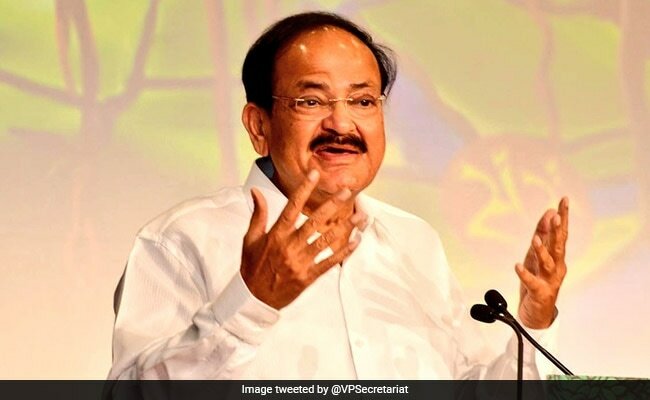 Vice President M Venkaiah Naidu Sunday said education must lay the foundation for developing a society that is strongly grounded in morals, ethics and value systems. He said education should make students think in an innovative way and they should come out with bright solutions to overcome challenges. The Vice President said an ideal educational institution must focus on making a student into a holistic individual by equipping them to face the challenges of life with equanimity and stability. He advised educational institutions to employ counsellors to provide support and guidance to students during challenging times. He also lamented that none of the Indian universities figured in the top ranking global institutions. “There is a need to revamp our education system to improve standards and impart world-class learning,” the release quoted him as saying. Highlighting the urgent need to bridge the urban rural divide in terms of education, Mr Naidu rued rural youth had limited access to quality educational programmes. “Access to education to all levels is essential for inclusive growth,” he observed. The Vice President called for greater synergy between the private, public and co-operative sectors in creating more avenues for skilled jobs in villages, stating it would strengthen food security and improve the living conditions of rural people. Outlining the major challenges faced by agriculture such as declining productivity, diminishing and degrading natural resources, fragmented land holdings, unprecedented climate change, the vice president said these challenges needed to be tackled on a war footing through structural changes and policy interventions from the central and state governments.